The Community Council of South Central Texas is celebrating 52 years of delivering services to low-income families and individuals on May 11, 2017. In addition, Community Action Month is being recognized across the United States during the month of May. Several cities and counties throughout CCSCT’s service are have chosen to take part in the celebration by proclaiming May 2017 as Community Action Month. On Thursday, May 4th, CCSCT joined the Mayor of Seguin, Don Keil in the reading and signing of the proclamation. Mayor Don Keil joins the Community Council of South Central Texas, Inc.to sign the Community Action Month proclamation. 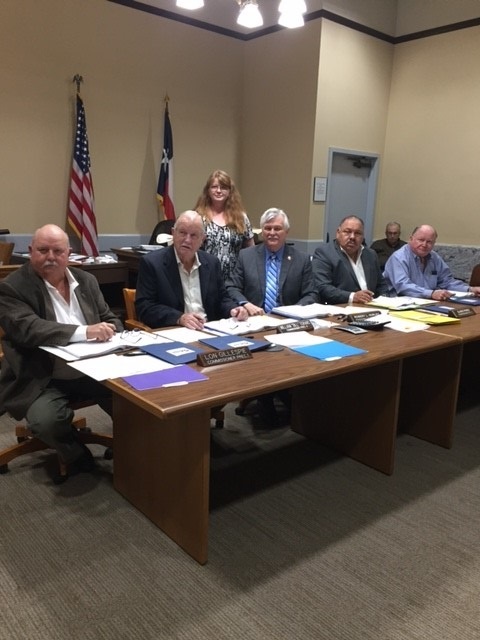 (Left) On Tuesday, May 23rd, Community Services Director, Carol Delgado, joined Atascosa County officials in the signing of the Proclamation. 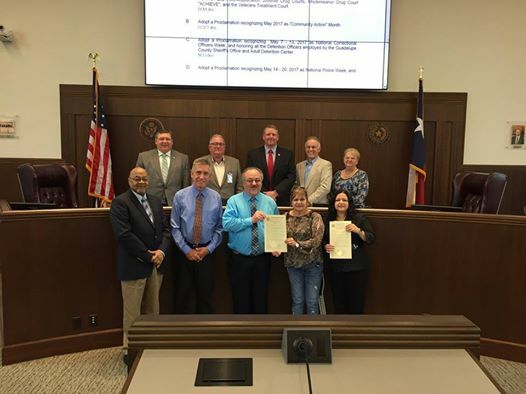 (Right) On Tuesday, May 17th, CCSCT joined Judge Kyle Kutscher and other Guadalupe County officials in the signing of the Proclamation.